Photos courtesy of Glow Gardens: Canadian events company Glow Gardens will open its Glow Christmas festival at the Smith Cove Cruise Terminal from Nov. 28 to Jan. 5. 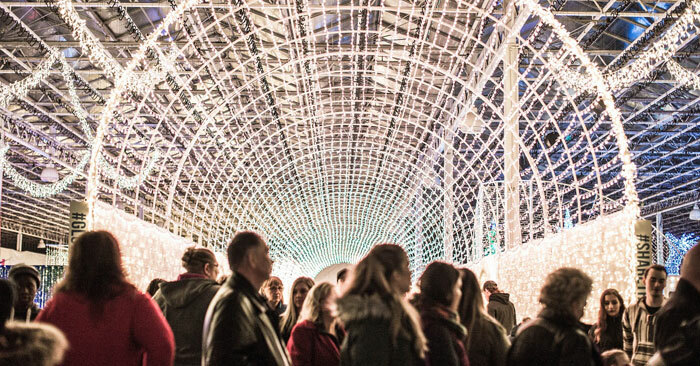 Canadian events company Glow Gardens is testing Seattleites’ excitement for the holidays with an April announcement it’s bringing its indoor Christmas festival to the city. Mike Schwarz, CEO of myZone Media, a Glow production partner, said Glow sold 400 tickets for its Seattle location its first day on April 3. “When somebody commits to a Christmas show in April, they become part of your marketing team,” Schwarz said. The first Glow Christmas village was launched in 2017, and four locations were tapped the following year. This year there will be around a dozen shows in 11 locations in the United States and Canada. The nearly 100,000 square feet of Smith Cove Cruise Terminal event space will be turned into a glowing Christmas village with lighted swings, a vendor market, food trucks, performance stages, train rides, play parks and, of course, Santa Claus. “The real exciting part that everyone gets so stoked on is the light garden,” Schwarz said. The goal is to sign on 80-100 local market vendors, who will have a dedicated floor, Schwarz said. Interested businesses can apply at glowgardens.com/seattle-christmas/get-involved/vendors-marketplace. An early special season pass being offered at $22.99 for adults and $16.99 for children/seniors through April 10 provides unlimited visits Monday-Friday and one premium day (weekends/holidays). The cost for season passes goes up after that. Family passes are $64.99 for weekdays and $73.99 for weekends and holidays. A family pass is good for two adults and three children. Adults pays $19.99 for weekdays and $22.99 for weekend and holidays ($49.99 for a season pass). Children 4-12 and seniors cost $14.99 weekdays, $16.99 for weekend and holidays, and $38.99 for a season pass. Schwarz said Glow is working on finalizing its theme for Seattle, as all locations have a corresponding scavenger hunt to go with it. Last year was “Glow Around the World,” where children and adults could take their fake passports to displays for various countries and get them stamped, with a prize waiting at the final station. While Christmas Glow will be family friendly, Schwarz said, couples who come later in the evening can enjoy a romantic holiday atmosphere and seasonal cocktails at licensed bars. 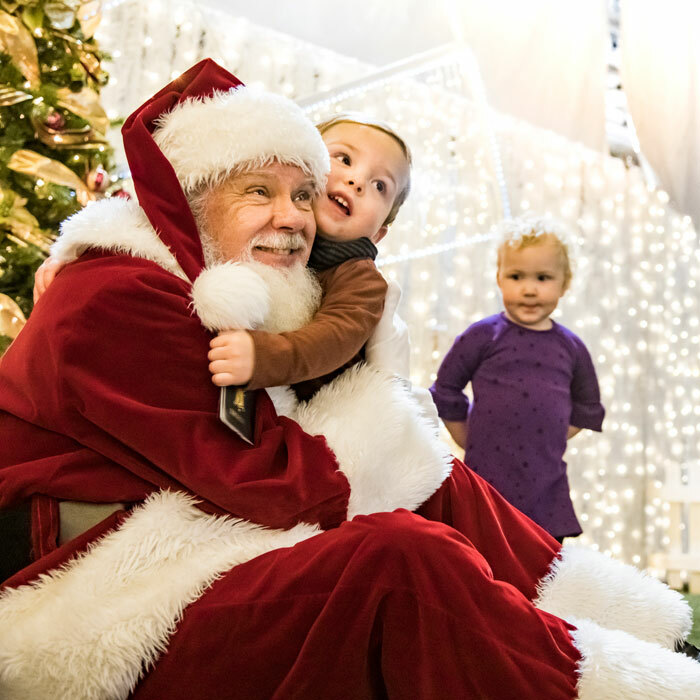 Once Christmas has passed, the venue will lose its Santa, more market vendors will exit, and a winter festival will take its place with more space for interactive elements, Schwarz said. Last year the events company tested a Harvest Glow festival that included a pumpkin patch and indoor corn maze in Vancouver, British Columbia, which will be produced again. However, those festivals will be held off this year due to the major expansion of Christmas Glow, Schwarz said, adding the company is also working on spring and summer concepts. Glow has a five-year option on the Pier 91 space for future events. “I think it’s one of the nicest venues that we have out of the 11 venues,” Schwarz said. To find out more and purchase tickets, visit glowgardens.com/seattle-christmas.